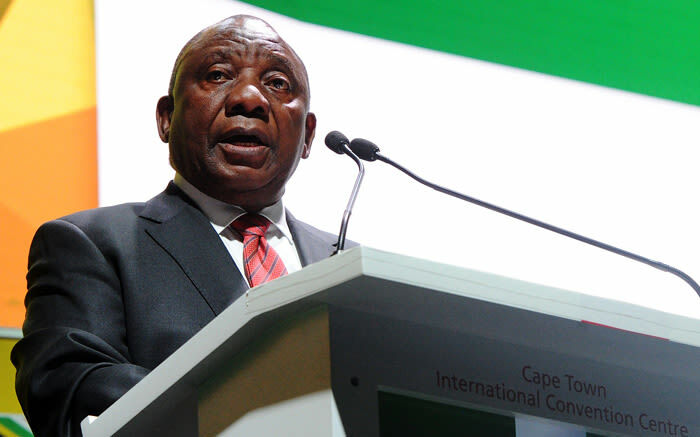 FILE: President Cyril Ramaphosa addressing the 25th annual Investing in Africa Mining Indaba at the Cape Town International Convention Centre. Picture: GCIS. President Cyril Ramaphosa addressed the Investing in African Mining Indaba at the Cape Town International Convention Centre on Tuesday. Ramaphosa and Mineral Resource Minister Gwede Mantashe are wooing thousands of delegates and potential investors. The Investing in African Mining Indaba is the world’s largest mining investment conference. The Money Show’s Bruce Whitfield interviewed David McKay, Editor at Miningmx. Listen to the interview in the audio below (and scroll down for quotes from it). I liked the speech… it impressed a lot of people… it was powerful… as for Eskom… he referred to structural changes that need to take place… fiddling around… isn’t going to solve it. People feel the economy is now in the right hands, but there’s still work to be done. He referred to ‘catharsis’ and ‘redemption’… he also tackled land expropriation without compensation in his speech. CapeTalk’s Africa Melane reports from the annual “Investing in African Mining Indaba”, taking place in Cape Town. "I have no desire for clothes. I have no desire for holidays. I have no desire for outings. All I see is the suffering of people…"